I've got some exciting news! I am the new ambassador for Soxy.com! "Soxy is an online sock subscription service that solves this footwear faux pas in an environmentally-friendly fashion. 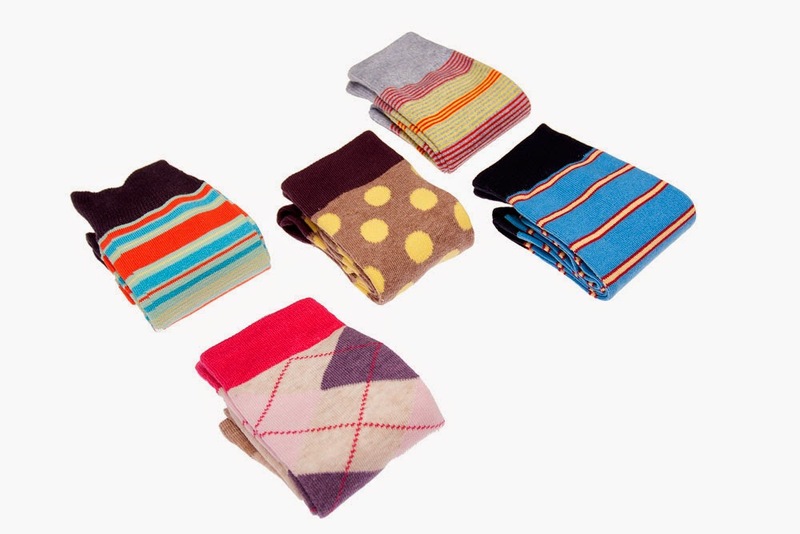 Men subscribe to the online service and within days their monthly order of 5 pairs of quality, comfortable and stylish socks are delivered right to their door. Soxy works with leading fashion experts to create new designs every month, so they are guaranteed to always be surprised with socks that will rock!" 1) Simply tell them where you'd like the socks delivered. 3) You get 5 fresh pairs of socks delivered to your door monthly. I've got a discount code for you! Use SCexp10 to get 10% off! So what are you waiting for? You can avoid the mall and say GOODBYE to boring white socks for $39 a month!